Mainly, you won’t feel pain at your appointments. 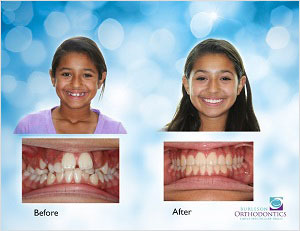 After we adjust your braces, your mouth may feel a little sore – usually just for the next 4 or 5 days. 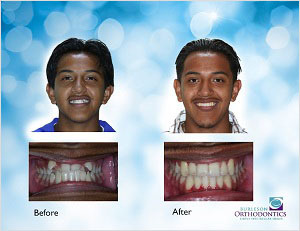 The treatments and care we provide help to reduce any pain to a minimum. Check out these video testimonials from young adults just like you, describing what it felt like to them. 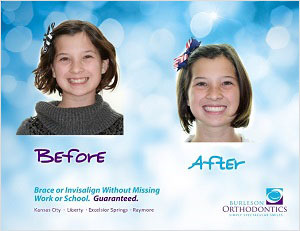 We can never promise you happiness, but we know this… Every person we’ve ever taken braces off of – smiles from ear to ear. Some of them shout out with joy and give us a hug. Most of them can’t wait to show their friends. Take a look at these amazing, real-life before and after images and decide for yourself. 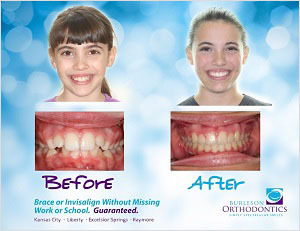 To learn more about ways our friendly Burleson orthodontists can help give you the smile you’ve been dreaming of, give our office a call at 816.759.0123 to set up an appointment, request an appointment online, or simply reach out via our online contact form.